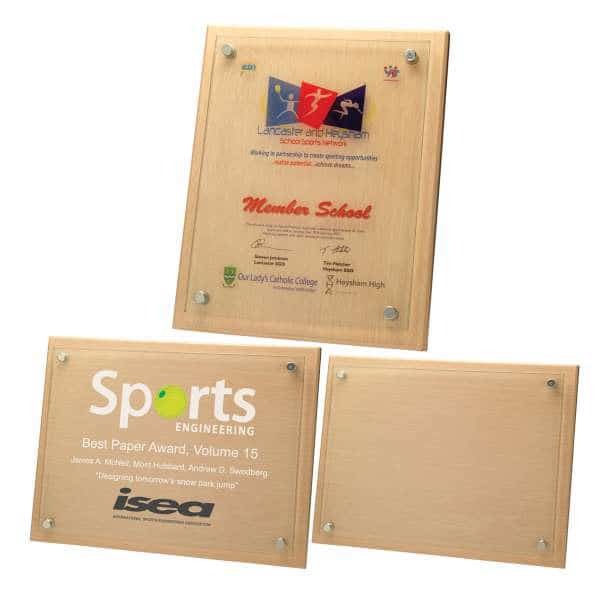 Engraved wall plaques can mark all kinds of achievements, special awards and recognition. We provide an opportunity to invest in a variety of corporate wall plaques. 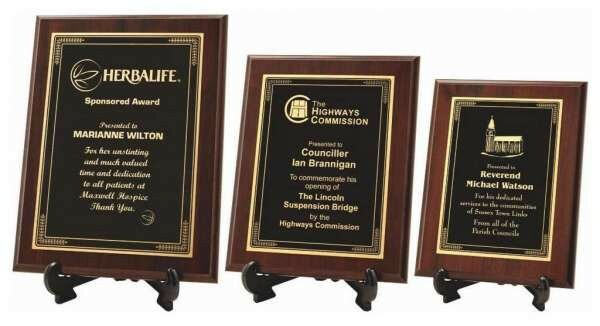 Mark that special occasion, award or achievement with your choice of outstanding wall plaque today. 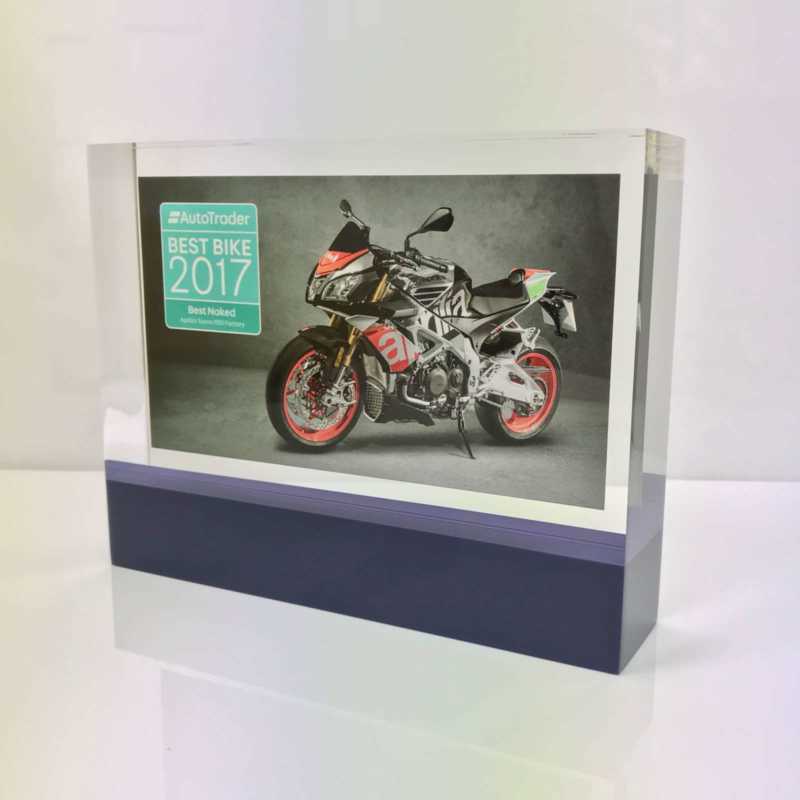 Our range includes a variety of materials including jade glass, various wood effects and glass-fronted plaques. 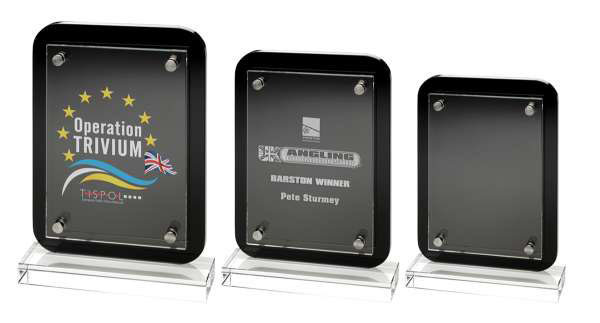 Both modern and traditional designs are available to choose from. 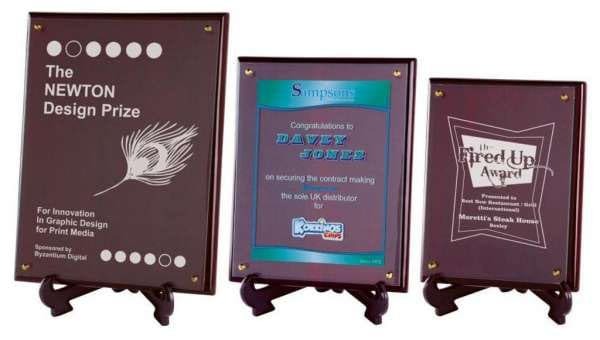 They also come in a variety of appealing sizes, while some are displayed with their own stand. 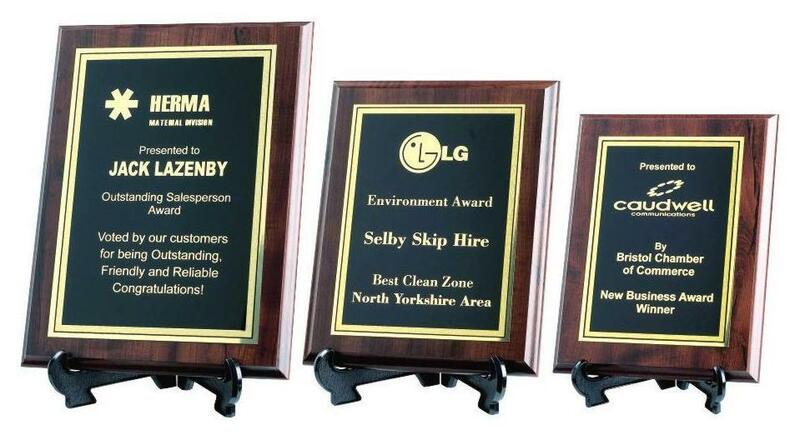 It soon becomes clear that all our award plaques can be made and designed to your own specifications. 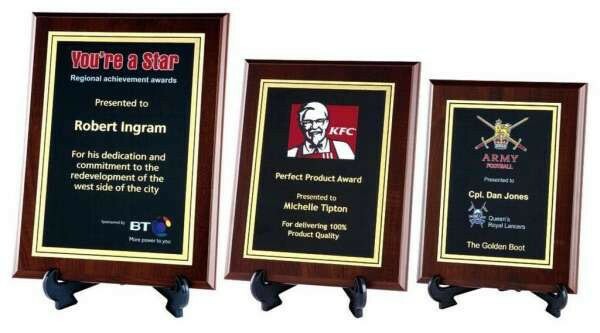 You may upload your choice of logo and your specific text as well. 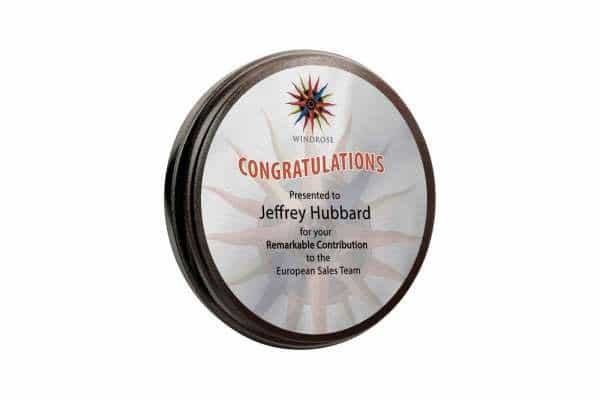 This is easy to do on the order page for a specific item. The detailing of each bespoke wall plaque award is exceptional. 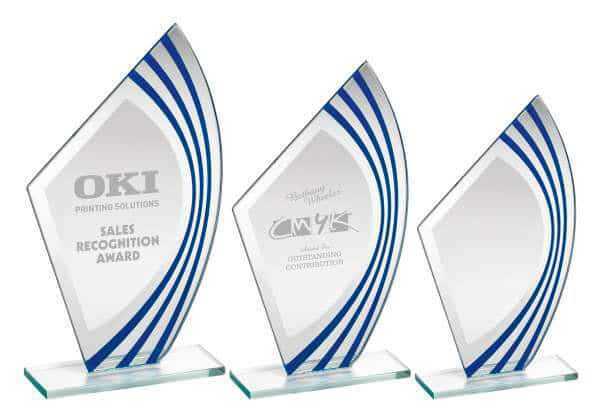 Full colour logos are possible in many cases. 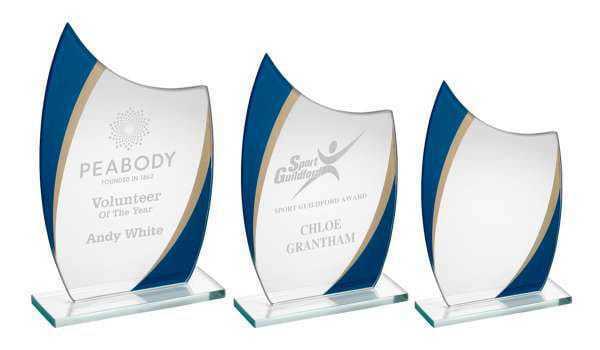 You are able to choose between colour printing and engraving, depending on the specific award and finish you opt for. 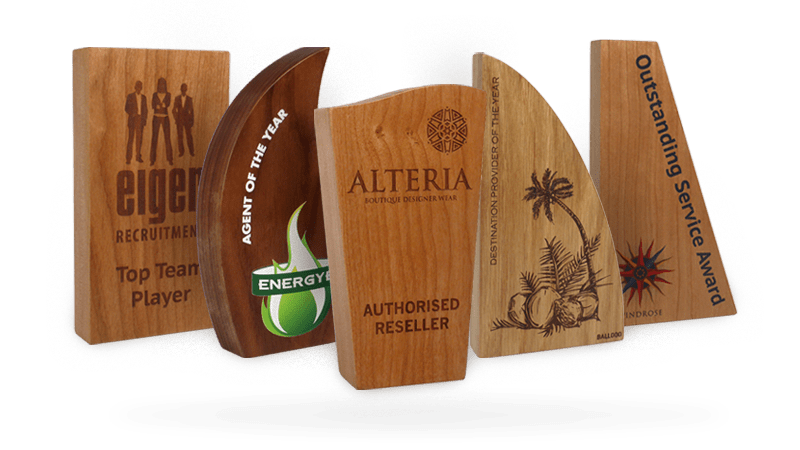 If you have any questions or enquiries, do get in touch. 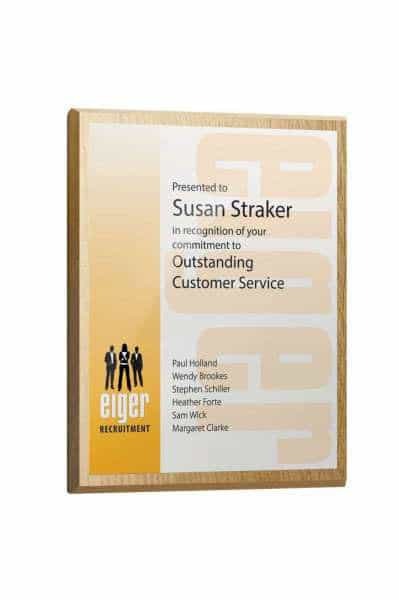 We would be happy to resolve any queries you may have. 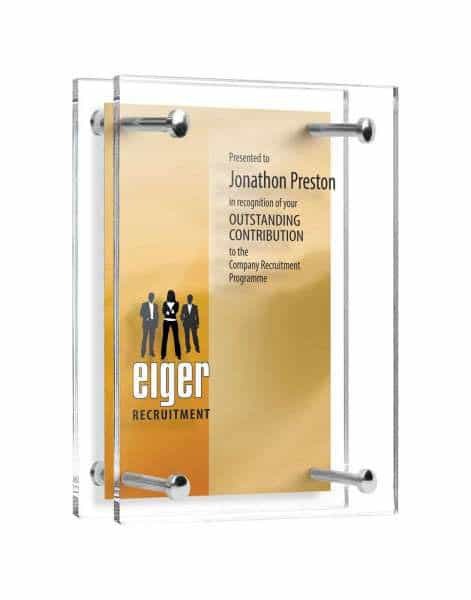 Anyone who receives one of these wall plaques would be delighted to display it in their office or above their desk. 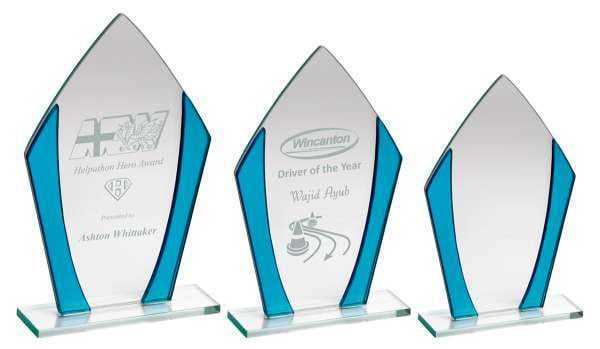 They are ideal for a variety of occasions and awards. 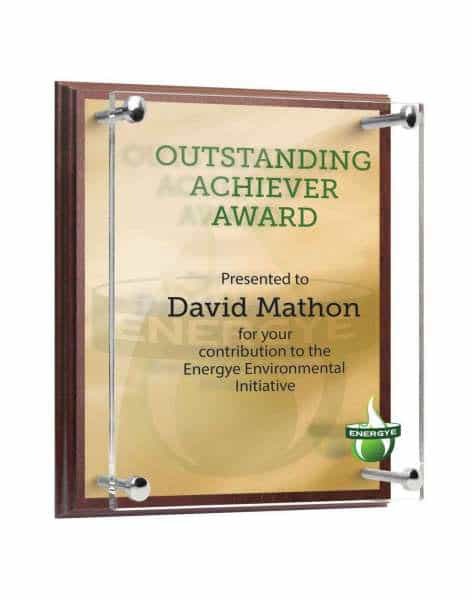 Celebrate a notable achievement or the passing of a particular exam or course. 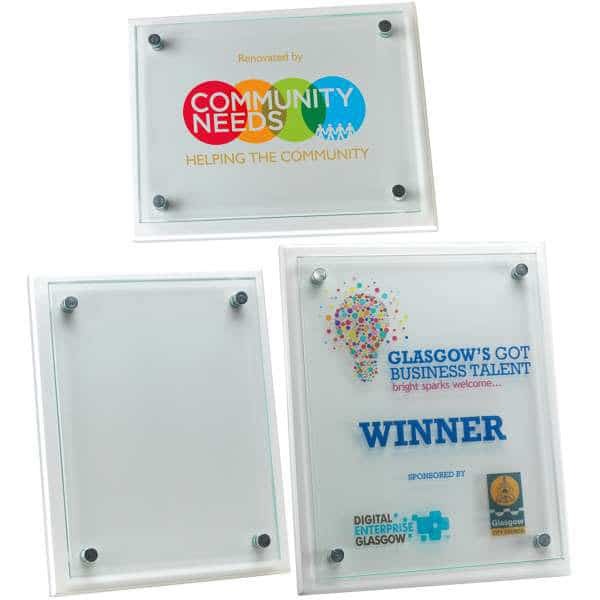 Present your chosen bespoke plaque to the winning team after a competition, or invest in a series of them for your annual corporate awards dinner or event. 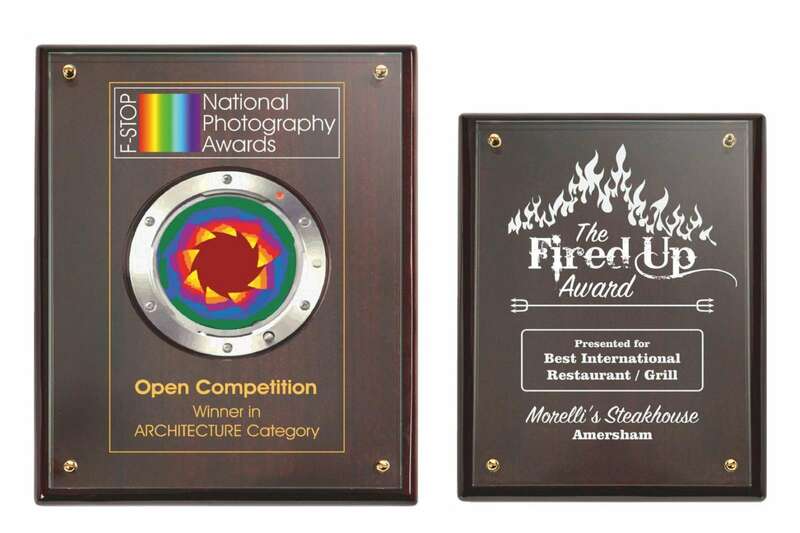 Whatever you have in mind, you can be sure our wall plaques will fit the bill. 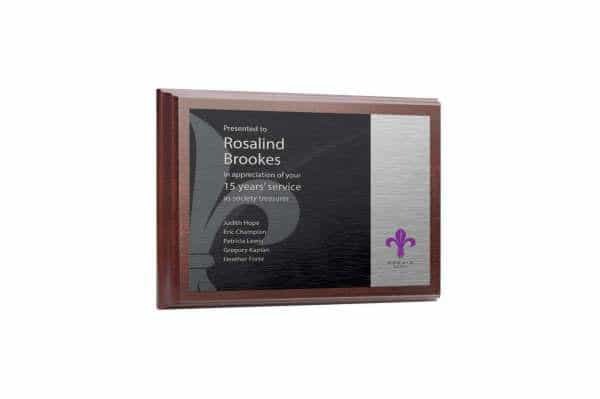 Invest in one or more plaques today to mark an event or a special occasion or achievement. 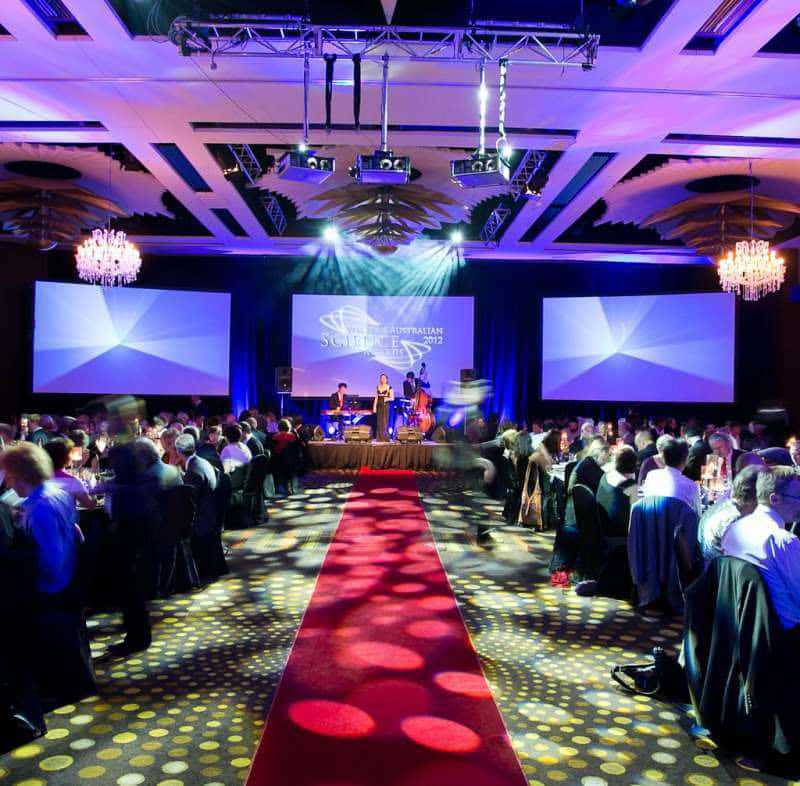 Make sure the moment does not go unnoticed and brand your business at the same time.